It’s always nice to hear how well your event went, so here’s a selection of letters we’ve received over the years. Thank you for helping us achieve such a fantastic day. The event was successful beyond our wildest dreams and raised a staggering £18,000 for the charity. The chairs looked amazing and the Chocolate Fountains were certainly a hit with the ladies. Thank you so much for the hard work you put into last Friday. Your Chocolate Fountains proved to be a major attraction, and helped make our evening both special and memorable. You and your colleague’s bubbly personalities fitted in very well with the general atmosphere of the evening, and we thank you both very much for your efforts. We will of course be recommending your services to all of our friends and family. To Kelly and Assistants, Just wanted to send you a little note to say thank you very much for all your hard work and efforts in the run-up and on the day of our wedding at The Lawns. All our guests just loved the Chocolate Fountain, it worked so well. We had such a wonderful day and everything went really well which was a huge relief. Thank you so much for our amazing Chocolate Fountain, everyone including us was very impressed. The young lady was a credit to you. Thank you so much for providing us with our Chocolate Fountain at our wedding reception on 4th August 2007. It was absolutely delicious and everyone loved it. The lady who attended to it was very nice and made sure everybody had some. Thank you for providing the fantastic chocolate fountain for our wedding at Smeetham Hall Barn on the 17th December 2009. The Fountain Really Looked fantastic and everyone loved it! Thanks again, I will thoroughly recommend using you to friends & family. We got a fantastic service, Your choccy was really lovely, I will defiantly recommend you to friend and family in Essex, Thanks again for your time and hard work. Lovely fountains and great service. Since the wedding I have had a few of my friends and family who are getting married / arranging parties ask what company I used and I have had no hesitation in recommending you to them all. I just wanted to say a huge thank you for making our day special. The bows in the church were lovely and the Belvedere looked stunning. Obviously the 22nd September will be remembered by us, but I think lots of our guests will remember it too because of all your hard work. As I walked up the stairs and saw our room all ready, it literally took my breath away. The chairs looked fab. Just a short note to thank you and your staff for helping make our day so special. The Chocolate Fountain was a great hit with both children and adults. Your staff and presentation was excellent, dippers and chocolate fantastic. It was a pleasure doing business with you, and stress-free. Thank you for making the chocolate fountain look so beautiful. It was enjoyed by all and we really appreciate the presentation and especially all the delicious treats. Thank you so much for providing our chair covers for our wedding. They looked amazing and really set the room off. We both had an amazing day. Thank you so much for everything that you and your husband did for us on and in the run up to our wedding day. The chair covers looked beautiful, and the crepes went down a storm-lots of our guests have said that they were delicious, and we know that they meant it because so many people had several crepes each. You really helped to make our day as special as it could be-thank you so,so much. Thank you for your advice with regard to the lilac sashes-they looked gorgeous and really finished the room. The lady in the evening was professional and very pleasant. Thank you! Thank you for the wonderful pancakes and your friendly staff. The pancakes were a true hit with our wedding guests. What a fantastic idea, we’re so glad we found you. Just wanted to thank you for the lovely chair covers and the delicious chocolate fountain you provided for our wedding on 10th July. The operator on the evening was fantastic and everyone said how good she was, so we couldn’t have asked for a better service. Sending a BIG thanks to you and your team for helping to make our day special. The chair covers looked lovely and everyone loved the choc fountains. Hello, just a little note to say a big thank you for attending my wedding on 20th February at Vaulty Manor. We had a great night and lots of people commented on the chocolate – it was yummy and the strawberries were divine. Just wanted to say a big thank you for all your hard work you put in for our daughter’s wedding. The chair covers were beautiful, just what the tables needed to make them look fantastic, so once again a big thank you. Thank you and your staff from the bottom of my heart for making our daughter’s engagement party so special with the chocolate fountain and lovely stuff. Thank you for making our daughter’s 21st a great success. We were impressed with the whole set up which we thought was very professional. Everyone loved the chocolate and various dips and we have to admit that we are still nibbling at the left over chocolate a week later. We’d be happy to recommend you to others and i’m sure we’ll be using your services again at some point in the future. Thank you very much for your great service at my party on Saturday, we had a lot of positive comments from my guests, and i’m sure you will see more business, I for one will definately be in contact for our next event. I will like to personally thank you for your huge contributions rendered towards the success of Seyi’s 40th birthday party- I cannot but thank you so much for your kind gesture and really appreciate all your efforts for making this party a success and most importantly a day that glorified God’s name in Seyi’s life. I have had lots of feedback from people who attended and i want to thank God it went well. Stay blessed and the Almighty God will enrich you mightily in Jesus’ name, Amen! Just a quick email to say thank you for arranging our chocolate fountain for our wedding reception, and the guy who was operating it was really nice. On behalf of Holly, we just wanted to say a big THANK YOU for organising such a wonderful chocolate fountain. Everyone at the party was thrilled with it, and all enjoyed it very much, judging by all the favourable comments. If we ever have another party, we will not hesitate to use you again, but in the meantime, please pass on our appreciation to the lady who looked after us so well. I just wanted to drop a line or two to thank you for the chocolate fountain at Aimee and Q’s wedding reception on June 30th. Everyone loved the fountain. I think a few eyes were popping when everone saw it arrive and functioning. The young lady who was taking care of the station was really very nice and helpfull at all times.  Just to say a big thank you to you and Lauren for the chocolate fountain for my wedding on Saturday 17th of September at Birchwood Park. Myself, Dan and all our family and friends were really impressed with how fantastic the fountain looked and everone certainly kept going back for more so definately enjoyed the taste. I want to thank you for making the booking process so easy and on the day itself Lauren could not have been more professional and certainly made a great impression on both myself and our guests. Thanks again and i will certainly recommend you to friends, someone is already thinking of you for their wedding next year. Sorry this is so late but we just wanted to say thank you so much for the chocolate fountain and fruit palm tree that you did for us on the 8th October. They both looked an tasted amazing and went down a treat with everybody. The gentleman did such a great job and we’re so pleased with how it all turned out. Wanted to say a big thank you for helping make Charlotte’s party a huge success on Saturday. All the children are talking about the amazing chocolate fountain. We still have some chocolate left, I can’t belive how much there was. Great value for money and i will definately recomment to others. If i need a fountain or other services you offer in the future i will be in touch. Just wanted to say a massive thank you for the chair covers and the chocolate fountain. Both were outstanding. The chair covers brilliant quality and just set the room off lovely and the chocolate fountain a lovely addition to the evening. Have had many compliments on the chocolate fountain. Say thanks to your husband for me… I didn’t get to say a proper thank you on the night.